Uvinul® 4050 by BASF is N,N'-bis(2,2,6,6-tetramethyl-4-piperidyl)-N,N'-diformylhexamethylenediamine. It is a low molecular weight hindered amine light stabilizer (HALS) for applications demanding particularly high light stability. It provides excellent light stability for thick sections but can also be used for articles with a high surface area such as films and tapes. It is recommended to be used in polystyrene, impact polystyrene, ABS, SAN, ASA, polypropylene, impact modified PP (TPO), EPDM, and in polyamides. 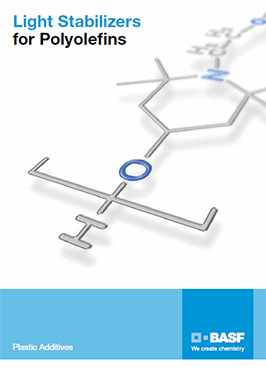 Due to its low volatility, Uvinul® 4050 is unique for high temperature processes compared to other low molecular weight HALS. A special benefit of using Uvinul 4050 is the high light-stabilizing performance, particularly for styrenic polymers and PP to protect the surface. It has broad compatibility and can be easily dispersed. 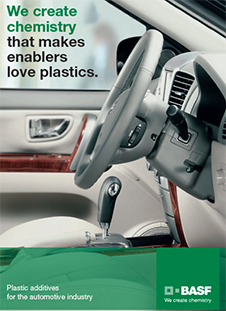 Uvinul® 4050 can be used in plastic articles in contact with food. The recommended concentrations range between 0.1% and 0.5%, depending on the substrate, processing conditions and application.